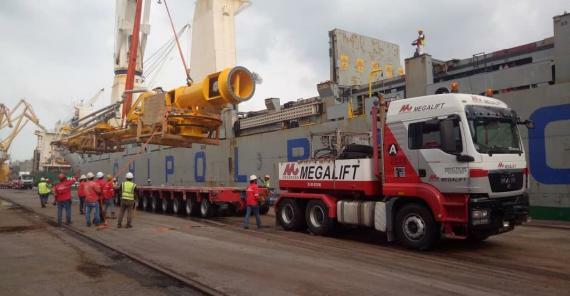 Megalift (members in Malaysia) have transported innumerable oil and gas cargo to the Pengerang Integrated Petroleum Complex (PIPC) and the latest movement involved four units of loading arms. 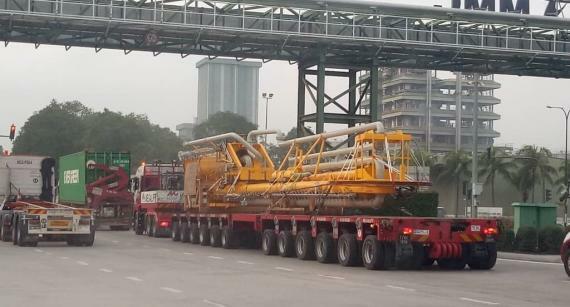 A loading arm is used to transfer liquid or gas from one tank to another through an articulated pipe system comprising of rigid piping and swivel joints to obtain flexibility. 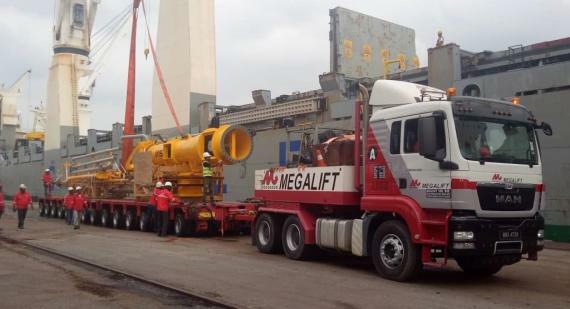 Photos of the unloading and transport can be viewed in the below gallery.